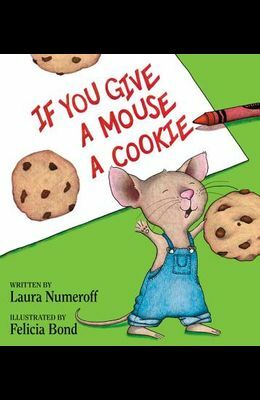 If you give a mouse a cookie, he's going to ask for a glass of milk. When you give him the milk, he'll probably ask you for a straw. . . . So begins this delightful story about an energetic mouse and an accommodating little boy. Full-color illustrations. From the Back Cover If a hungry little traveler shows up at your house, you might want to give him a cookie. If you give him a cookie, he's going to ask for a glass of milk. He'll want to look in a mirror to make sure he doesn't have a milk mustache, and then he'll ask for a pair of scissors to give himself a trim.... The consequences of giving a cookie to this energetic mouse run the young host ragged, but young readers will come away smiling at the antics that tumble like dominoes through the pages of this delightful picture book.